We’re often surprised by how many of our clients overlook one of their most commonly used rooms for entertaining – their dining room. Sure, their kitchens and living rooms are justifiably important, but what about dining in an elegant, well-judged room? You’ve got the right dining table and comfortable seating, but what about decorative add-ons that’ll bring the room to life with intriguing personality? When it comes to dining room walls, consider your dining room a space where you can let your creativity run free – since the room is often used occasionally, you can be more experimental with your design and go for something completely different and unexpected. Impress your guests with a boldly designed dining room – and don’t hesitate to make a memorably striking impact with your dining room wall decor ideas. 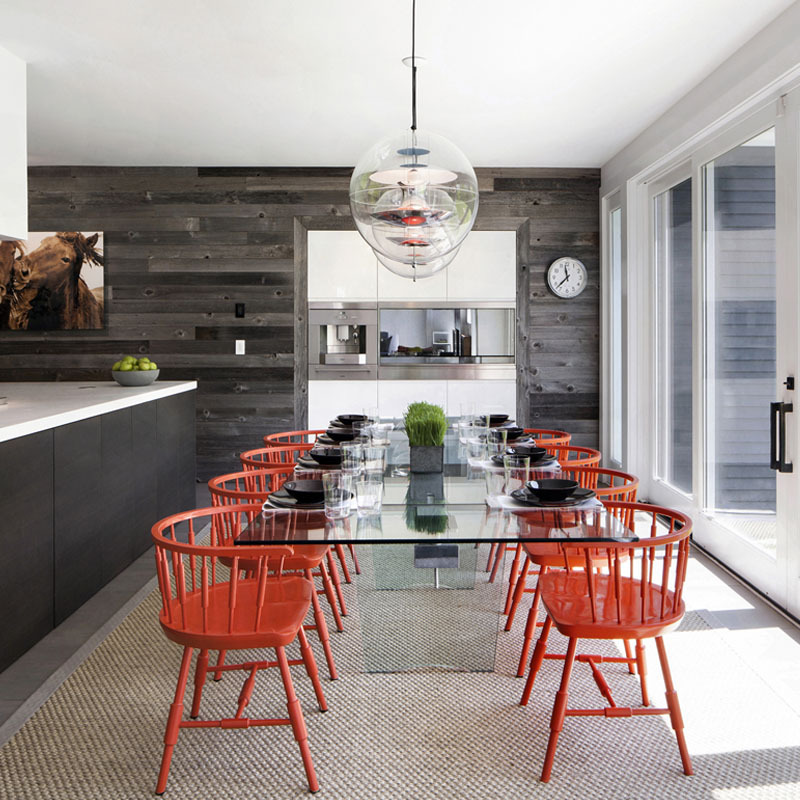 From embracing dark dining room walls to bold wallpaper to energizing colors and plenty of artful additions, we turned to Décor Aid interior designers for their takes on mesmerizing dining room wall designs that are sure to inspire you. 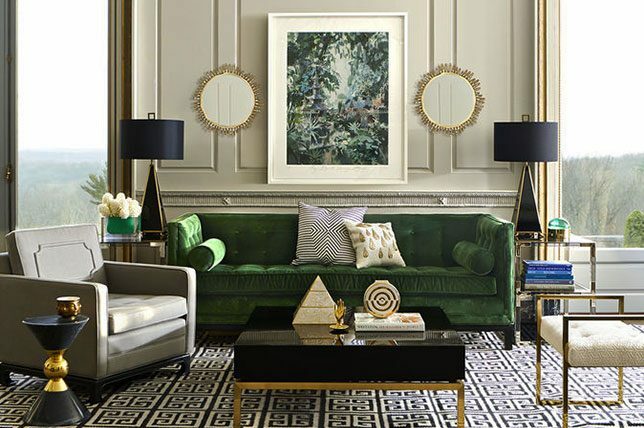 We’ve said it before and we’ll say it again; you can’t go wrong with mirrors in any room. They’ll make any space appear brighter, larger, and more luxurious. Best of all, they’re inexpensive. And when it comes to dining room walls, think about having panels of floor to ceiling mirrors installed along one main wall for a heady focal point, and a serious sense of everyday glamor. 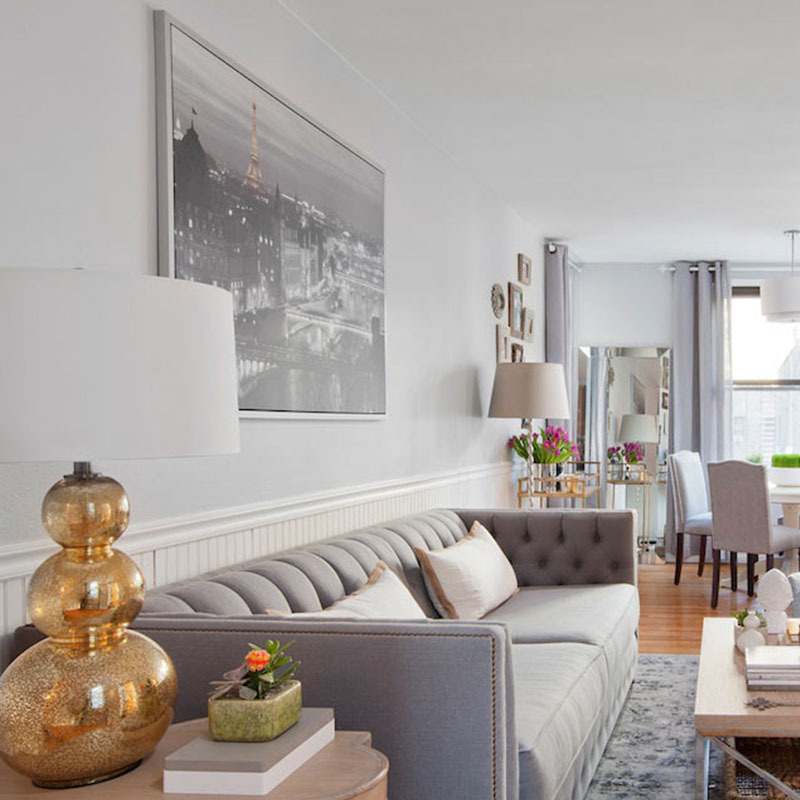 When they feature juxtapositions, a gallery wall can instantly come off as casual and laid back, but when it comes to creating a more formal feel, go for a consistent theme when creating your pairings. Like in the dining room above, go for similar frames, mattes, scales, and colors as together, the wall comes off as personal and alluring and far from distracting or heavy-handed. And it’ll for sure spark a few conversations while bringing up unforgettable moments from your rich personal history. When looking to add more depth and a focal point with your dining room walls, a distinctive accent wall is certain to get the job done without taking a ton of time or costing a small fortune. You can either cover an accent wall in a vivd wall covering or you can opt to paint it a solid color or go for a more graphic feel by sectioning off panels with different colors. Whatever direction you decide to go, remember the best part about an accent wall; they’re easy to update and switch out. 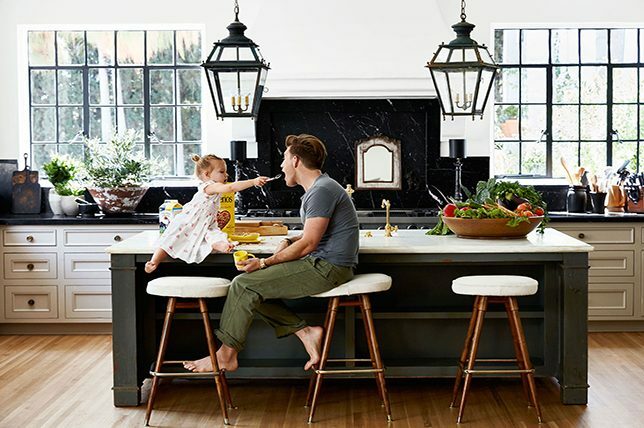 So every few years, consider doing just that for a quick dining room refresh that won’t cost a fortune or take up too much time. 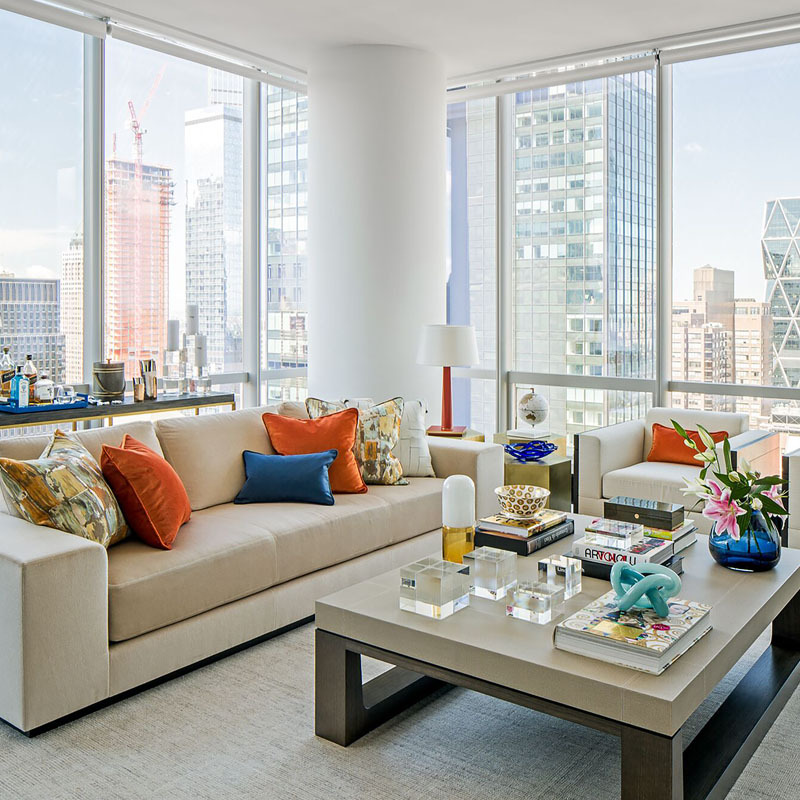 If you’ve already have furnishings that are full of personality and spark joy on a regular basis, let them do just that and all the talking too. 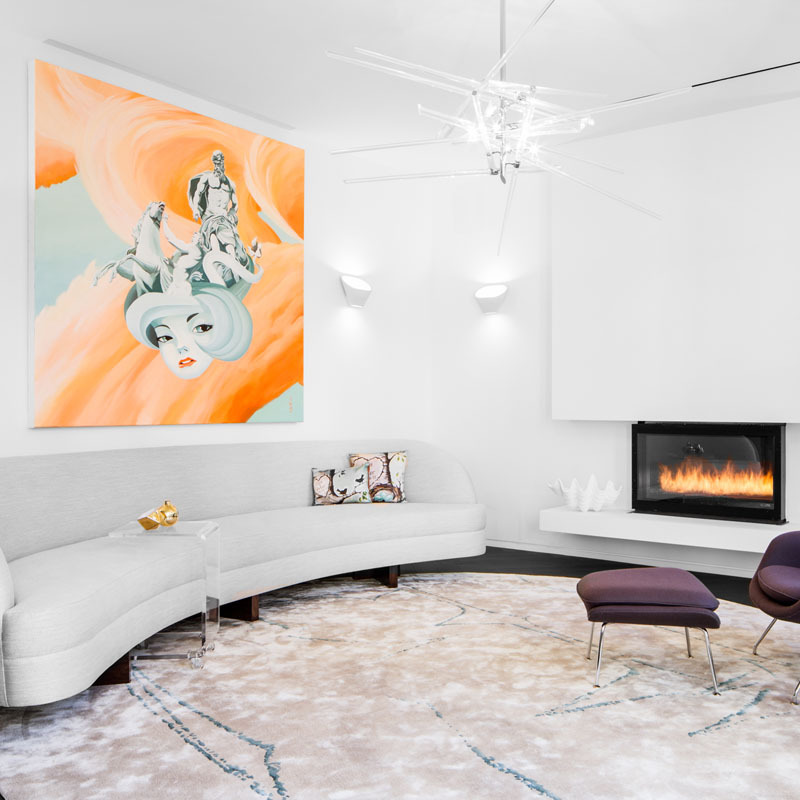 Instead of creating too many unwarranted visual points of interest, keep the look and feel sparse and paired down with a hardy helping of minimalism for a modern effect. By taking it easy on your dining room walls, you’ll keep the eye moving while honing in on those delightfully styled furnishings. But, we aren’t talking about skipping out on dining room wall ideas altogether. Quite the contrary in fact. 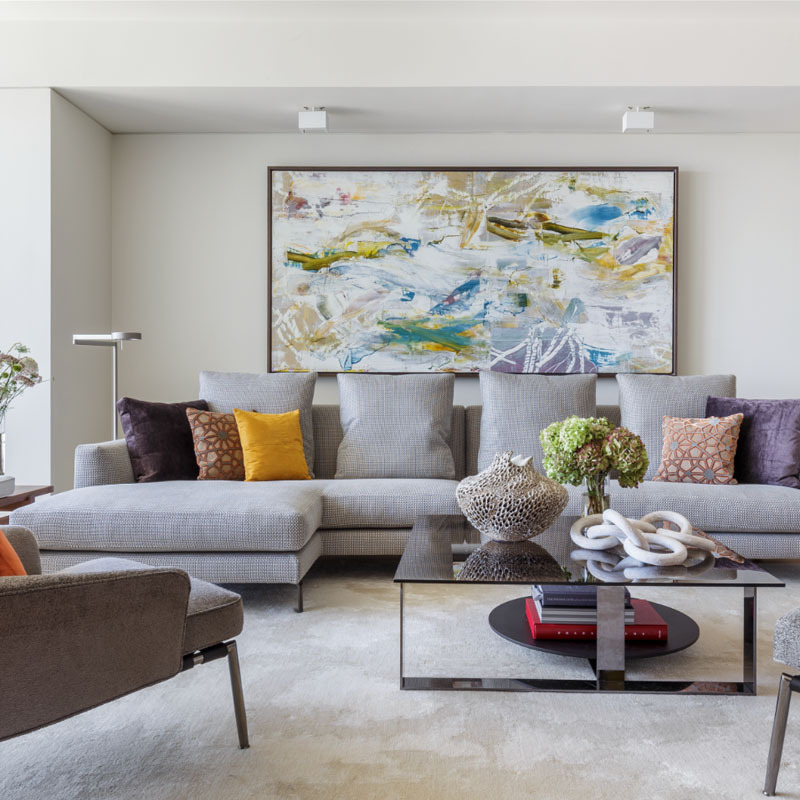 Instead of going for bold statement-makers, consider installing just one or two small scaled pieces of framed artworks that will lend the room a subtle dose energy that won’t come off as heavy-handed. Since most dining room walls only have enough space to afford for one or two major pieces of art, add some textural play on yours with a striking metal or mirrored abstract wall sculpture that will make the space feel completely unique. That said, skip out on anything too crafty or upcycled and go for a unit that’s more refined and sophisticated since, after all, this is a formal space used for special occasions. So be sure that the wall sculpture you bring in is just that – special, yet formal, modern, and unexpected. Art on your dining room walls may sound like a no brainer, but to make the look feel one of a kind, our interior designers were quick to point out that scaling up in size can really help define your dining room while making it all the more memorable. 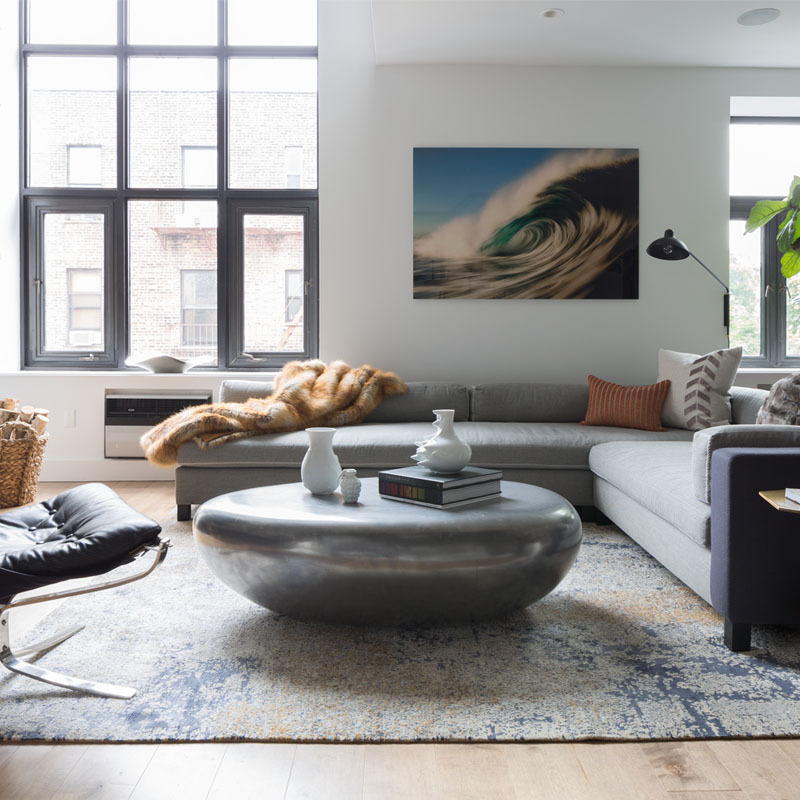 Be on the lookout for a piece that’s unique, oversized, and full of texture for need personality and surface play in this otherwise straightforward room. And since we’re only talking about one piece, if you’re lucky enough to come across more than one attractive piece of art, collect them all! This way, you’ll be able to switch the pieces out from season to season to give your dining room a new lease on life. Easy to install and inexpensive at that, a slim floating wall makes for a more modern alternative to a traditional china cabinet while allowing you to display collectibles, serving dishes, and pottery. Plus, they’ll make everything you need easier to grasp. Where better to be bold and choose daring metallic wallpaper, than in the dining room? And if it’s going to be metallic wallpaper, please let it be Art Deco-style. A dining room is a space for luxury and Art Deco style and luxury go hand in hand with one another. There are so many color and pattern options available in this style of wallpaper, so you won’t have a hard time choosing the perfect wallpaper for your dining room walls. Choose a light or neutral color if you want to go for an understated opulence, or go for a bold, dark color for something even more lavish. 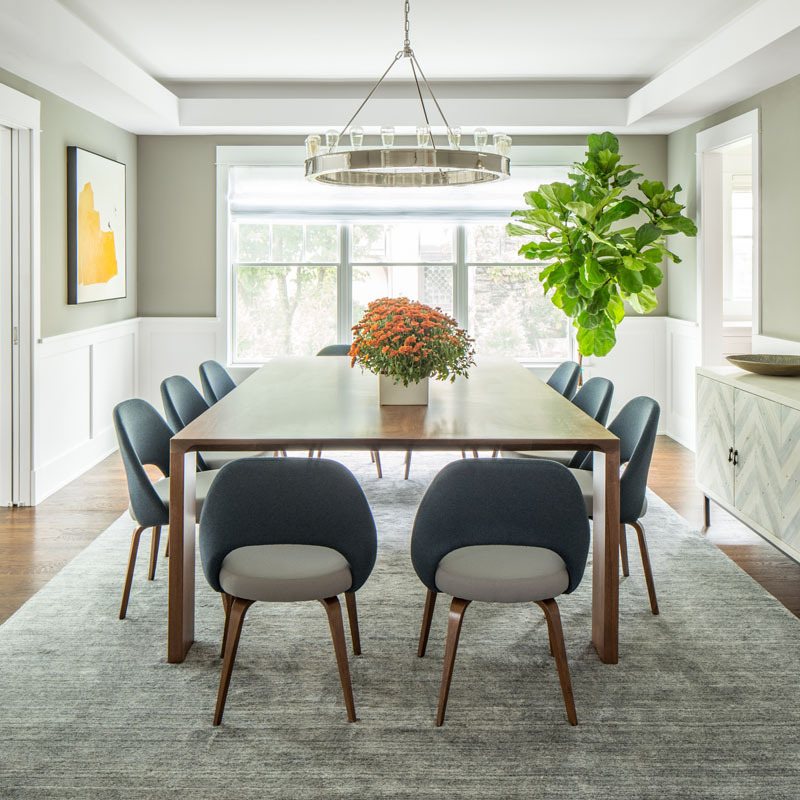 A warmer alternative to standard white walls while boasting a rich, yet no-color feel, a watery gray will make for a soothing addition to your dining room walls while hiding everyday wear and tear, and stains at that. Plus, it pairs well with just about any design style and won’t take away from your home’s potential resale value. Wall panelling will give an instant and impactful update to your dining room wall design. This idea gives you something a little bit different and gives your room a traditional feel, which is perfect for a traditional dining room. But don’t be fooled, this look doesn’t have to be old-fashioned; you can inject plenty of modernity into your wall panelling, keeping it from looking outdated. Paint your panelling in a dark color for an intimate and grand feeling dining room, or go for light panelling with a deep hue above it, for a dramatic contrast. An idea we absolutely love, is a two-tone paint job around your whole dining room – this doesn’t just mean painting the walls, it means a complete furniture re-work as well. This isn’t something you see every day and your dinner guest will be truly in awe of how amazing your dining room looks. Choose two different shades from the same paint color chart (one darker and one lighter), painting one above and one below the centre line. This looks even more amazing if you give your furnishings a re-work in the same color scheme. We guarantee your dining room wall decor ideas will be the envy of everyone who sees them. 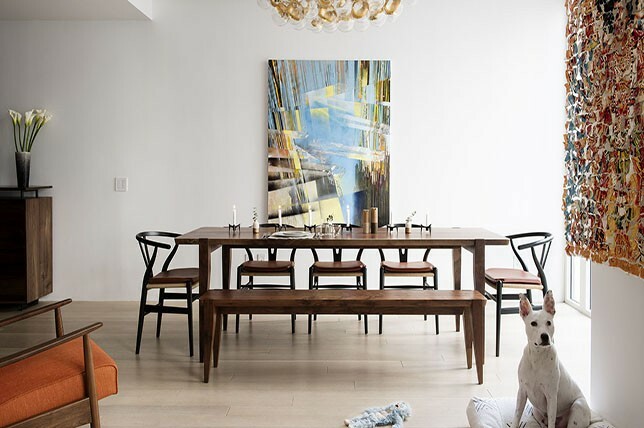 Filling your dining room walls with art is a stunning way to spice up your dining room decor. Art is where you can really let your personality come through, choosing pieces which mean something to you and reflect your true style and vision. Art is very personal and it is a wonderful way to display what is important and meaningful to you in a stylistic way. Dining room wall decor ideas don’t get any better than an art filled gallery wall (or galley room). Create a contrast between your wall color and your frame colors to help your favorite pieces of art stand out. Don’t forget about that 5th wall. 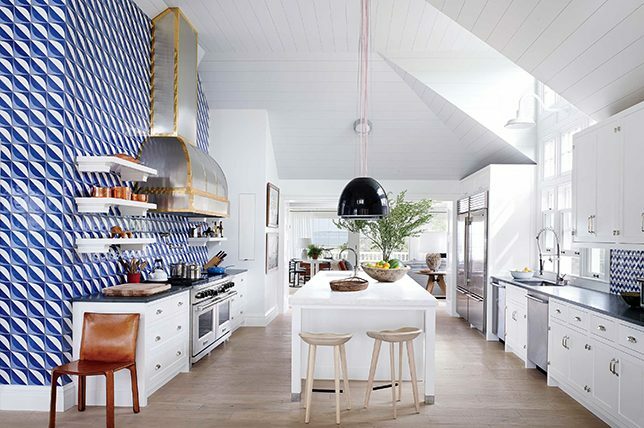 Using your ceiling as a canvas will give your dining room wall décor ideas that extra bit of ‘va-va-voom’! Introducing color and pattern to the ceiling is interesting and different and most people won’t have seen anything like it before. You can choose a wild, bold pattern if you are feeling brave, or something more muted, but whatever style of wallpaper you choose for your dining room, it’s sure to be a talking point. If you have high ceilings, this is a great design choice for helping your room to feel more intimate and cozy. The dining room is often the space on your home where you want to exude elegance. Graceful stripes are a classy addition to your dining room walls (especially in muted tones). Paint them on or choose striped wallpaper with a touch of metallic for that extra opulence. Sometimes all the modern dining room wall decor in the world, can’t beat a traditional, classic design. Entertain your dinner guests surrounded by dining room walls decorated in deep, dark hues. Darker shades will give your dining room an opulent feel and teamed with metallic accents, you’ll have dining room wall ideas sporting unrivaled decadence. Dark furnishings will add to the effect, and tie the whole room together, giving you that traditional, but so on trend vibe. Bring in some low pendant lighting above the table, or a chandelier for a real touch of luxury. Draw attention to the details with your dining room wall décor ideas. If you have a traditional fireplace in your dining room, wall panelling, recessed shelving or a beautiful window, use your dining room wall design to accent the architectural details you have been blessed with. Whether that’s by using different shades to allow you to highlight areas or different paint or wallpaper styles to bring the design of your dining room to life, make the most of the accents in your space. Don’t allow your dining room wall ideas to fade into the background – up the glamour and create some real drama in your dining room. 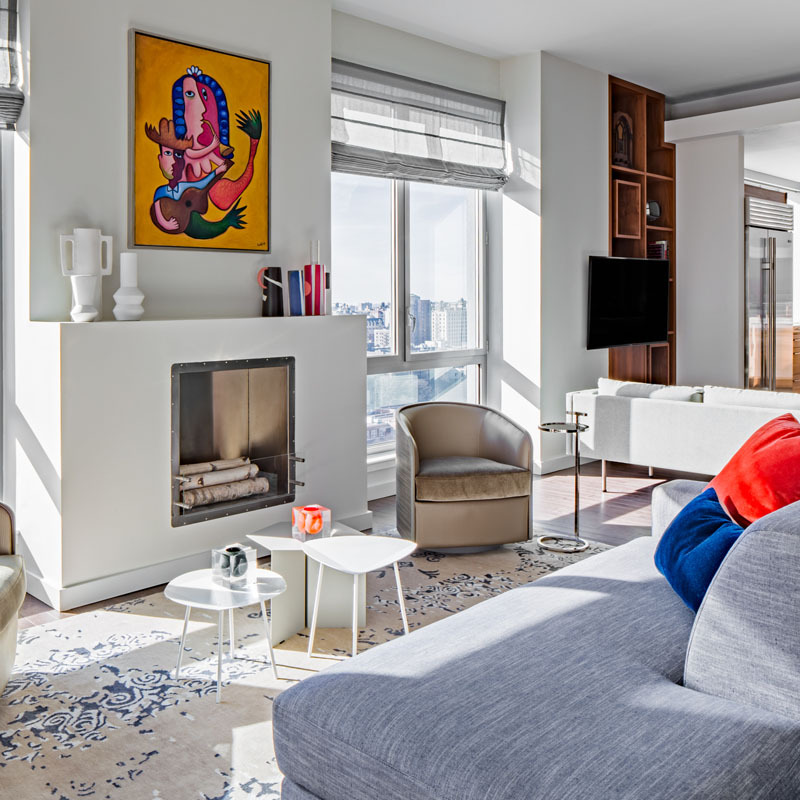 This is the perfect time to bring in metallic, glass and plenty of high-shine materials. Go for gold to add a rich feel to your dining room walls, with picture frames, wallpaper or fancy sconces. Have a luxurious rug beneath your dining room table and invest in some glamorous upholstered dining chairs. However you choose to add glamour to your modern dining room wall decor; don’t be shy. Blush tones are perfect for a dining room and a whole room in different blush shades will look glorious. From the dining room walls, to the upholstery, to the curtains and the rug, be bold and take ownership of those pink hues! 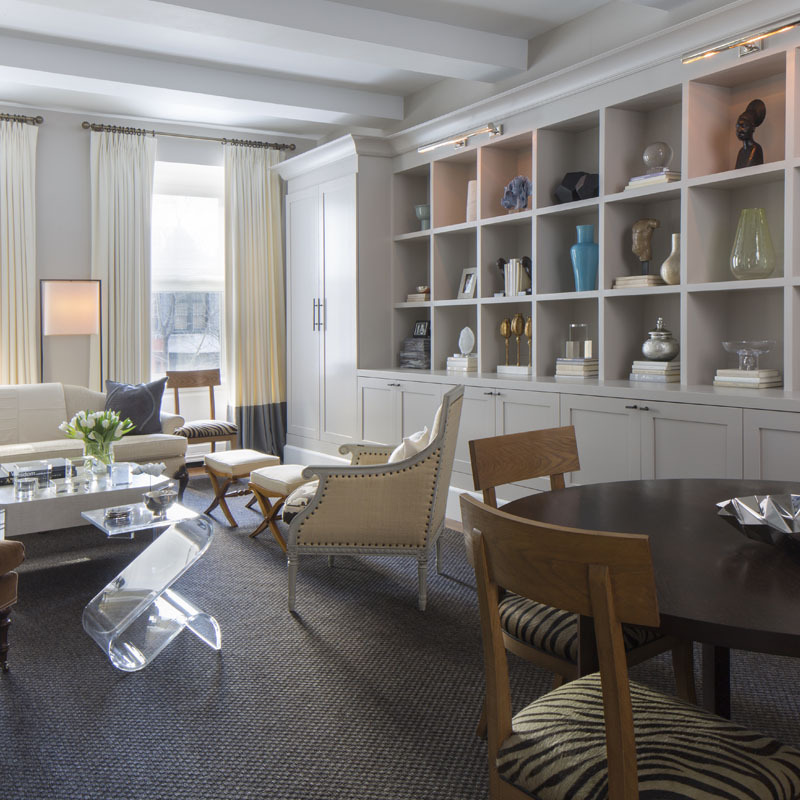 Choose varying shades of the same color and accent here and there with white and with darker wood furnishings. There is something very traditional to this look, but with a clear modern twist on this classic dining room wall design. If your dining room is a space you use often, dark colors and grandeur might not be the best option for your dining room walls. If your dining room is a space you use on a daily basis then you’ll want something more practical feeling, with more lightness and brightness. 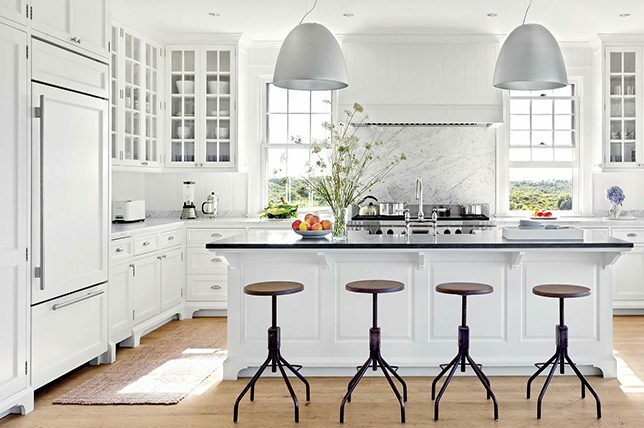 Choose pale shades of grey, beige or even white, and paint your dining room walls the same color. Keep the light and bright feel going with neutral furnishings, or a dining room table and chairs set with a farmhouse feel. Monochrome dining room wall ideas look stunning. Upholstery, curtains, furniture and walls all in the same tone give your dining room a well put together feel. Add some textured accents with textured wallpaper, upholstery with a slight pattern or print to it and a piece of statement lighting. Without texture, a monochrome room runs the risk of being boring, but well emphasized textures will make a world of difference and complete your room.